It is two in a row for the University of Stellenbosch Business School (USB) after MBA student Brigitte Roediger was chosen as joint winner of the Association of MBAs (AMBA)’s 2013 Global AMBAssador Challenge. With this achievement Roediger, who is the USB’s Global AMBAssador, follows in the footsteps of Gretchen Arangies, the USB’s previous Global AMBAssador and 2012 winner of the challenge. 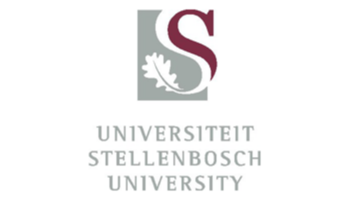 Arangies is head of Services at the Stellenbosch University’s Bellville Park Campus where USB is situated. In participating in the Global AMBAssador Challenge, MBA students are expected to do research and write a story about an entrepreneur. Roediger chose to feature USB alumnus Mignon Hardie, who runs the FunDza Literacy Trust, which promotes reading and literacy. Hardie is also a mentor in the USB’s Small Business Academy for small business owners in townships such as Khayelitsha. Roediger shares the 2013 award with Davina McCormick, MBA student at Queensland University of Technology Business School in Australia. Roediger’s reward is to attend the Principles for Responsible Managemant Education (PRME) summit in Slovenia between 25 and 27 September this year where she will also get an opportunity to host or facilitate a roundtable discussion.